Tired of having to turn off your fire pit manually? Well, this automatic stainless steel commercial grade gas shut-off from Hearth Products Controls will do it for you! You can set the timer anywhere from 15 minutes to 12 hours. 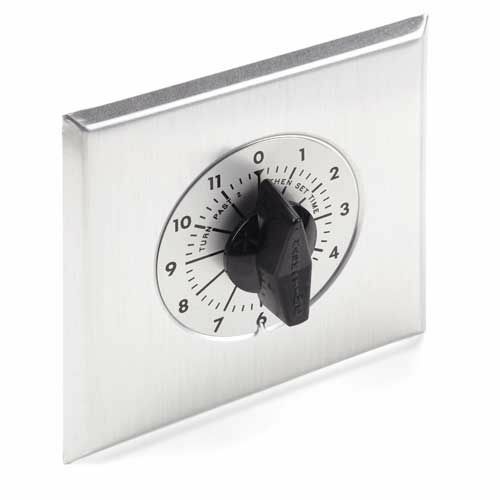 The durable rotary timer is strong enough for outdoor use, and its compact 2.5" depth design and sleek stainless steel finish allow it to be installed almost anywhere. So place yours wherever you need today! Product is for use with a separately-purchased NEMA 3R enclosure. Can this be reversed to turn on gas instead of shut it off? This timer is configured only to turn off the electrical circuit for an electronic gas valve. Because of the construction of the timer, it cannot be reversed.